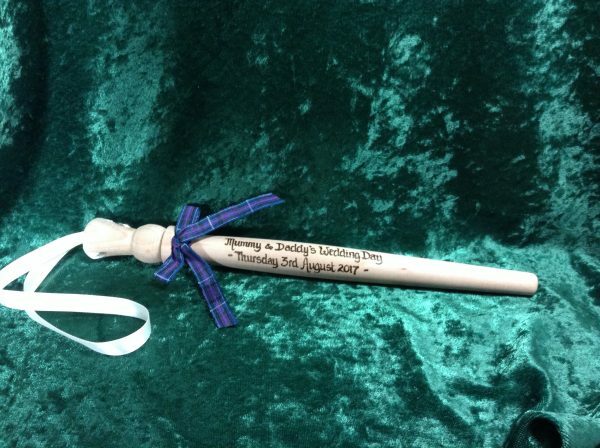 A Wedding Spurtle is a traditional Scottish Stirring Stick. 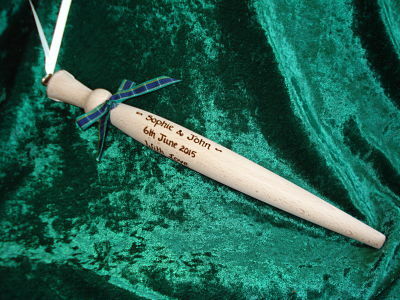 The spurtle is perfect for stirring porridge and sauces, in fact anything that requires stirring! 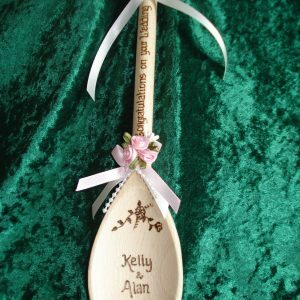 Dating back to the 15th century, it was a flatter shape, more like our modern day spatulas. It was thought that it should be stirred clockwise and with the left hand in olden days. If used the wrong way it was thought to summon the devil! The Spurtle is now commonly bought as a wedding gift for the new bride to ‘tame’ her porridge. 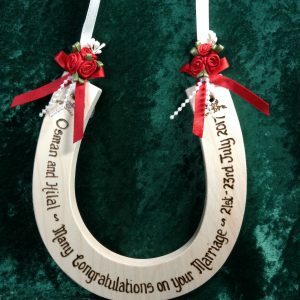 Although it is also said on occasions to tame her new husband! 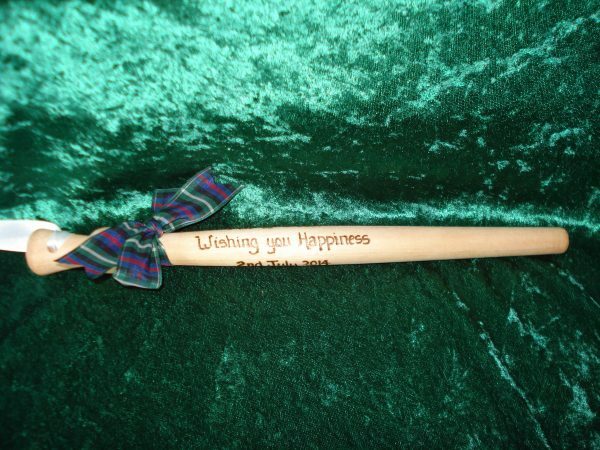 The Spurtle is available with a choice of four tartan ribbon bows, red, blue, purple or green and the ribbon hanging loop is available in ivory, white or cream. 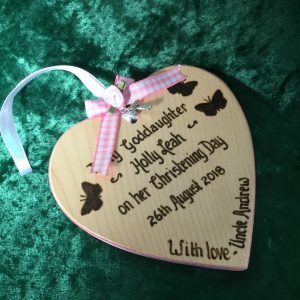 Due to space, only the couple’s names and date of marriage plus a short greeting can be added.